We're updating a running list of projects which have successfully sold enbloc in Singapore since 2017. Do let us know if we missed out any! The number of enbloc properties is a key factor to watch, as it is expected to support the continued increase in residential prices in the short-medium term. Lucky owners are receiving a big payout, and if that was their primary home, they will be forced to recycle this cash back into the property market. While some older folks may choose to downgrade to a HDB, this supports HDB prices and closes the price gap between HDB and condo, helping others to upgrade. In addition, an enbloc temporarily removes completed housing stock in Singapore for the period of the construction (up to 4 years), pushing up the rental market. Condos which are most likely to enbloc have a number of attributes. First, they are likely older developments (>20 years), where the design and appearance of the condo are outdated, and facilities have been damaged by wear and tear over the years, leading to a price discount compared to newer condos. Second, the development plot ratio has not been maximised. If a condo was built up to a plot ratio of 0.8x in the 1990s and the current URA master plan is now at 1.4x, the unutilised plot ratio can only be maximised by tearing down and rebuilding the condo in an enbloc. You can easily check the allowable plot ratio under the current URA master plan here: https://www.ura.gov.sg/maps/?service=MP. The existing development plot ratio is not that easy to find though, and you can check with the current MCST, or do a rough back of envelope calculation based on number of units and the average sizes of the 1,2,3,etc bedroom units. How do you calculate the price per square feet per plot ratio (psf ppr)? For leasehold condos, the total land price paid by the developer to redevelop has 2 components. First, the price paid to existing residents, and second, the price paid to URA to top up the lease back to 99 years. 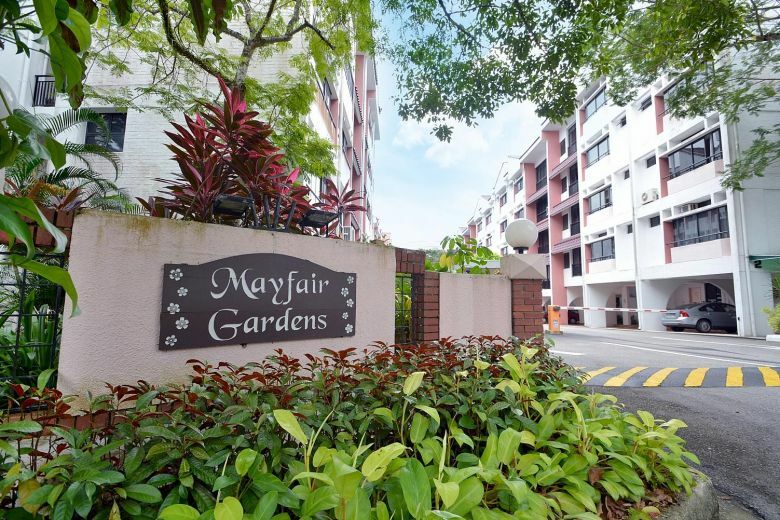 For example, for Mayfair Gardens, the total land cost to the developer is $311m paid to existing residents, and $52m to URA, for a total of $363m. The condo has a land area of 19,368 sqm, which works out to ~208,477 sq.ft. Based on the latest URA Master Plan, the site has a Gross Plot Ratio of 1.4x, hence the developer can build to a GFA of 291,865 sq.ft. Taking the total land cost divided by the GFA, the psf ppr is $1,244.